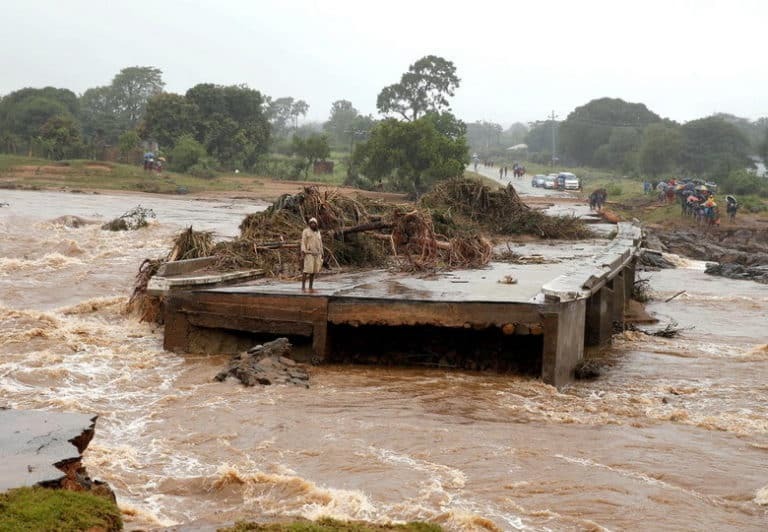 A bridge damaged by cyclone Idai. Even when people are safely out of the floods, the situation is dire. Some 30 percent of the 88 centres set up by the government for displaced people still have no food, Environment Minister Correia said. The U.S. military stands ready to help the cyclone rescue effort, a representative of the U.S. Agency for International Development (USAID) said, according to the minutes of a humanitarian meeting held on Wednesday. China, a major investor in Mozambique, also expressed its willingness to help, Portugal’s Lusa news agency reported.